AKA Pink Flamingo Oyster Mushroom is a tropical variety of Oyster mushroom, named after their vibrant pink colour. Their scientific name is Pleurotus djamor. They are in the Pleurotaceae family, along with the Phoenix or grey oyster mushroom, and are available year-round from Lindale Gourmet Mushrooms, Paraparaumu. 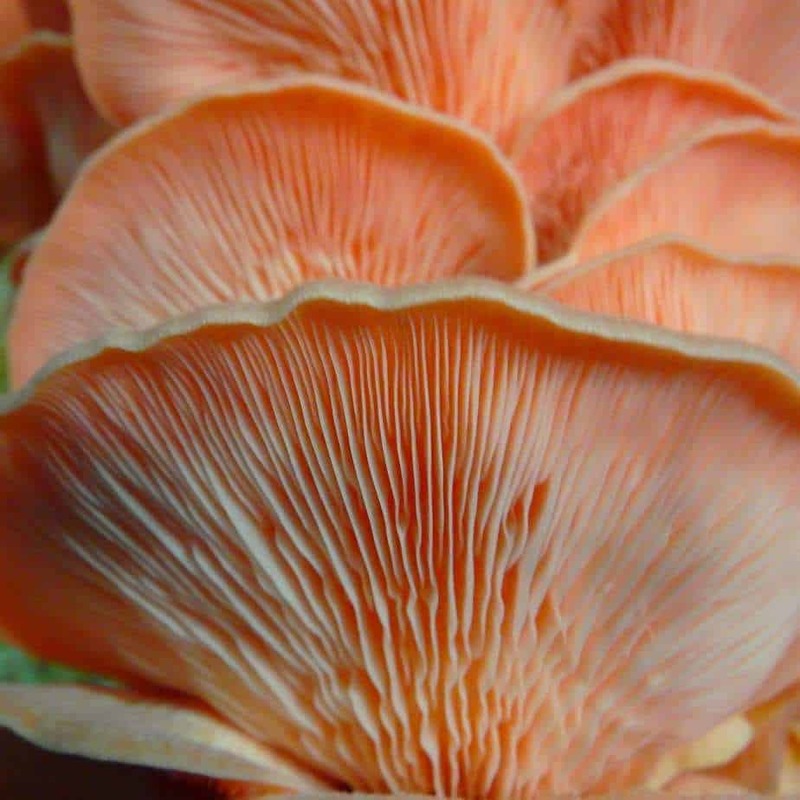 They grow in layered clusters like their grey oyster mushroom relative, and their colour is intensely pink when raw, changing to a gold yellow when it starts to cook, then through to an orange brown colour when fully cooked (this variety needs 20 minutes). Oyster mushrooms are a very good source of protein, fibre, potassium, vitamin B6, vitamin D and folate, and are low in carbs, fat, sugar, starch and calories. They are one of the best mushroom sources of ergothioneine, an antioxidant that may reduce instances of cardiovascular disease by preventing plaque build-up in the arteries. The meaty texture of the Pink Flamingo Oyster mushroom makes for a delicious edible mushroom. They can be sautéed with other vegetables, added to pasta dishes or soups, and compliment white sauces and risotto dishes. Due to their meaty texture, they require thorough cooking (around 20 minutes), and their bacon or ham type flavour intensifies the longer they are cooked. If stored in a cool place, Pink Flamingo Oyster mushrooms can be preserved for up to a week. They can also be dried for longer preservation.